SKU: TEAT01. Categories: Elina, Laserlite, Various Small Decals (All). This is a NEW very RARE Factory Correct ELINA “AERO TURBO” BMX Seat Decal Sticker set for Tahei Elina “Turbo-81″ saddles. 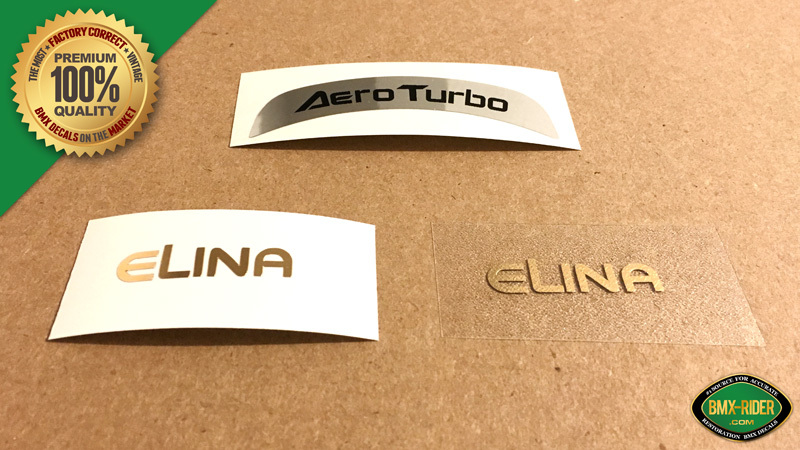 The ‘Aero Turbo’ decal is for the rear of the seat, and the gold ‘Elina’ decals are for the sides of the seat (to replace the original gold heat stamping). 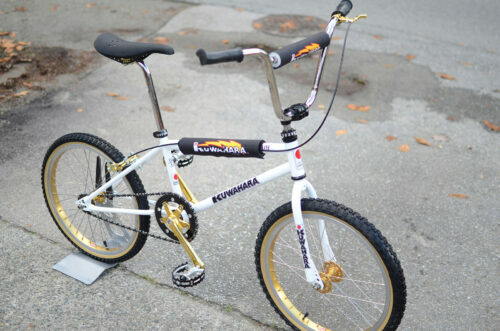 These seats came stock on the Kuwahara Laserlites, Novas, Survivors, Redline, Hutch, PK Ripper and more. You will get 1 Aero Turbo decal & 2 (1 Pair) Elina ‘rub-on’ decals. Very Accurate & Precise Details. Design Trace is identical to original factory specs. Die Cut on gold foil decal stock. These decals have been digitally printed and are of high standards. 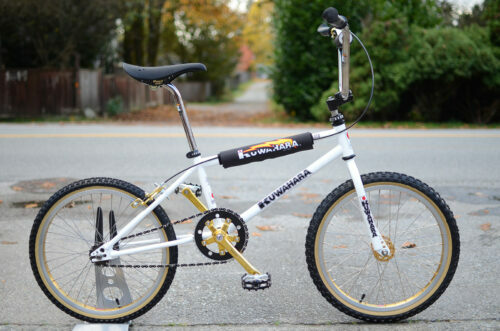 Size and colors are very accurate to original factory specifications. 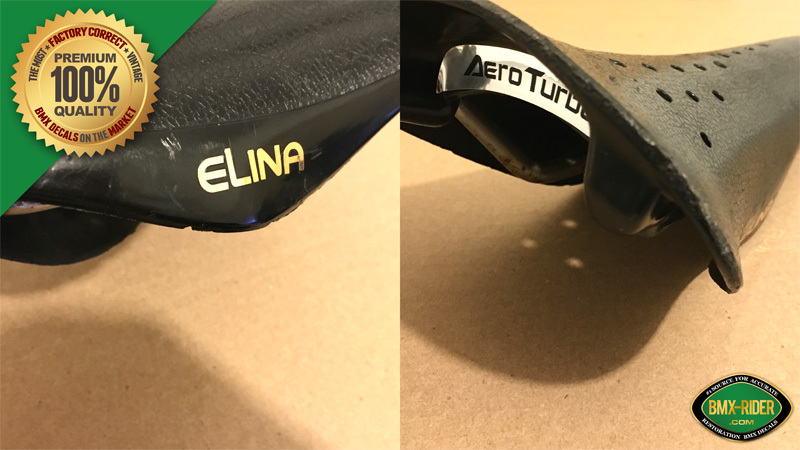 Since the “Elina Aero” decal has been printed digitally, the lines on the words may be slightly jagged when viewed up close. The gold “Elina” decals are to replace the original heat stamps. The OEM factory original rear “Aero Turbo” decal found on the Elina ‘Turbo-81′ seat did not actually fit properly within the placement area. Also, on factory original seats, the words in gold, “Elina” were heat stamped onto the sides of the seat.